Okay, storyteller and mythologist Michael Meade has another blog post with Huffington Post, this time on the lack of elders in our culture: “Where Have All The Wise Men Gone?”. Read it, and check out the other posts he’s written there (one which I mentioned previously). Meade’s mythic sense, intelligence, and insights on the problems facing us today always resonate profoundly with me. Please share your own thoughts here! 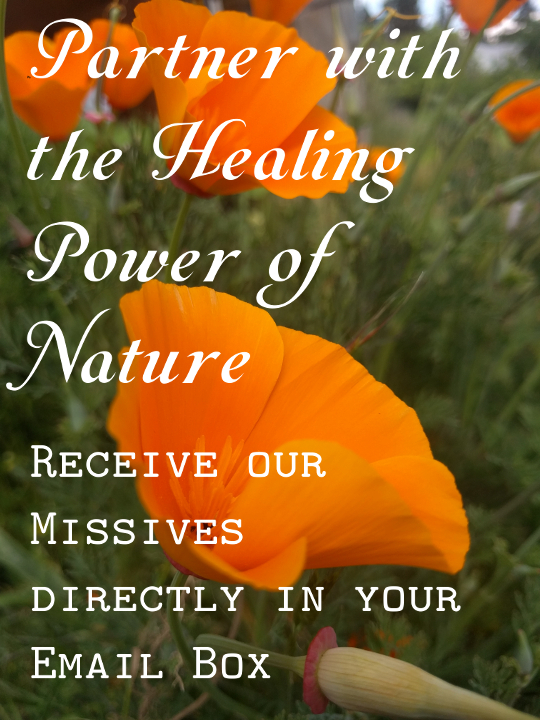 Do You Dare To Live Your Creative Healing Magic? Recently I affirmed for about the fourth or fifth time in as many years that the book I’m trying to create, Because Of The Red Fox, is actually a mix of novel and graphic novel. Now I discover that this kind of mix is actually emerging in the children’s and middle grade fiction! I have to wonder (even though it’s pointless: I know I’m on whatever journey I’m on!) “what might have been” if I’d thoroughly believed from the get-go in the vision and truth about the project that I felt in my bones. I would have just attempted to create the scenes I saw in my head, and for awhile inserted as photographs of dolls in poses into the storyline. As Aslan tells Lucy in Voyage Of The Dawn Treader (In the Narnia Chronicles), Child, you’re we’re never told what might have been. Anyway, if I need any affirmation that now is the time to create my hybrid novel/graphic novel I have it. I have pulled several examples of this new genre off the shelves of the two bookshops in town. And I feel green with envy — in a good way! Because I’m really excited to dive in to this dream. I do believe that great creative ideas are energies that emerge and are available for “divine download”. Perhaps you’ll be one of the Carriers. I’ve certainly witnessed time and again instances where a great idea emerges in one place, goes a little ways, then emerges someplace completely different and takes off. It’s as if the ideas sparkle here and there, and folks play with them, but eventually they find their rightful birther (or birthers) and they just take off. I have my own other creative healing magic that sparkles just above my hands. I want to one to grab those sparkles and bring them into being. Perhaps I’m just the one to do so. What creative healing magic, what artistic genius calls to you? What do you feel in your heart, mind, soul, bones that yearns to come to life through your own unique expression of gifts, of talents, or vision for the earth? Do you dare to call it into you, do whatever it takes to manifest them into your one wild and precious life? Do you dare to claim yourself as Carrier and birther of the dream? No one can live it like you do! And even if the dream born here, there, everywhere — you are the only one to shape it in a particular, singular way. True, it’s possible that a vision that you hold is not yours to manifest on this planet. In those cases, you are believing in a vision, somehow caretaking its fire until it finds its path to physical presence. The trick in that situation is to feel whether the dream is yours to carry to the next level of manifestation, or merely (but importantly) to consider, play with in your mind, design. Speak about. Perhaps when we do this we are helping that dream to discover itself, helping it along like a midwife in some fashion. I have to say that I believe that this is one of my tasks in this lifetime, to shepherd joyful, beautiful ideas/visions into being. I’ve had to learn that not all the amazing ideas that come my way are mine to bring into the world. But I do get the delight of playing with them, pulling them together in my imagination, and in my (quantities) of notes. Then I receive the awe of witnessing others bring those dreams — in their own particular forms — into reality. I always find that what emerges is more abundant and surprising and life-giving than I’d dreamed. That said, I do have plenty of my own to bring in directly! What is your creative healing magic? Your life, your imagination is giving you truths about who you really are that our everyday world doesn’t even talk about. It is up to us to perceive the multi-faceted nature of our gifts, how they sparkle and shine in different layers of the real. If we can have faith in the stories our experiences, our bodies, our lives tell us we can begin to step forward in offering our artistry — whatever it is — with conviction and confidence. Quite honestly, to be truly content and joy-filled in our lives, we have no choice but to do so. To just believe in who we are. Or to decide to act as if we believed. … And I especially love this part of it: You do not even have to believe in yourself or your work. Especially when we feel we are working with threads, with a melding of ideas, visions, artistries that no one has ever worked with before (or at least, not in a way that we grasp), we need to just commit to the dream, feel its truth in our cells, and begin to take our first steps to manifesting it in our lives, even if our vision seems unattainable for us. (We may feel it’s possible for other people to do it!). To carry a dream into this world is a spiritual adventure. Be brave, be bold! Be the child that leaps into the outdoors and creates anything he or she dreams, with no second thoughts, no doubts. Be the mindful Keeper, protecting, sheltering the flame of the dream until is strong and vigorous and fueled enough to reveal to concentric rings of community — your soul friends first, then a slightly wider circle, and so on, as you live the dream, work it, play in it, learn from it, discover. Tell me your dreams, if you wish. I believe in them. And in your ability to grow them, root them, as only you can.